Time, budget, and slow Internet access could get in the way of teaching yourself to play guitar. There are plenty of guitar resources that could help. 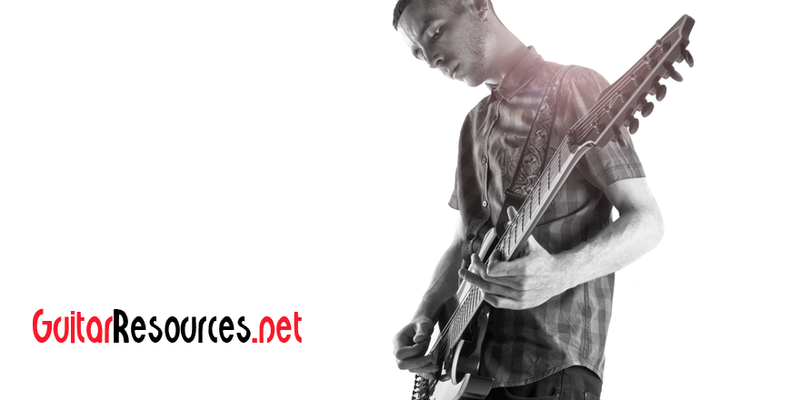 However, most of the free online guitar lessons are isolated tips instead of a structured approach. A structured approach makes it easier for you to learn to play guitar. Effective guitar courses and guitar books are those who have been around for a long time and have worked out the kinks in teaching. This article is a walk-through from buying a starter guitar kit to reading tabs and practicing scales. 2 Should you buy an acoustic or electric guitar? 3 How much should you pay for your first beginner guitar? 4 Where should you buy your starter guitar? The first step in learning to play guitar is to decide on the style of music you like to play. Acoustic guitars lend themselves to classical, folk and country music, and electric guitars create sounds of rock and jazz. Should you buy an acoustic or electric guitar? The songs, the guitar players and the style of music that inspires you determine which guitar is best for you instead of the physical characteristic of guitars. However, there are physical differences between acoustic and electric guitar that you need to be aware of. Acoustic guitars are hollow, and electric guitars are solid. The need for a sound hollow chamber increases the size of the guitar. Acoustic guitars are larger with thicker strings that make it a little harder to play. It may take you a little time to develop the technique and the finger strength to get it right. Electric guitar body is thinner and easier to hold. In an acoustic guitar sound echoes and projects through the body of the guitar. An electric guitar needs an amplifier since the vibration cannot resonate through a solid body of an electric guitar. The vibration is “picked up” and is transferred to an amplifier. The sound you hear from an amplifier is an electrical current that could be manipulated. The pickups and amplifiers play a greater role in the quality of sounds from your electric guitar where the construction and the sound chamber influence the sound in an acoustic guitar. How much should you pay for your first beginner guitar? You can buy a 38″ acoustic guitar starter package complete with a gig bag, strap an pick for less than $27.95. You can also buy Gibson J-45 vintage sunburst acoustic guitar for $3,499. For a price conscious beginner guitar player who has not yet developed a feel for the sounds she likes, it does not make sense to buy expensive guitars. However, cheap guitars may not provide the quality of sound that encourages her to play. If you are a serious beginner, you can get quality sounds from both acoustic and electric guitar kits in $100 to $200 range. With a little research, you can also find quality used guitars at discounted prices. Generally if you buy cheaper guitars from big names, you get better quality and more bang for your buck. Where should you buy your starter guitar? In a guitar store, you get to hold the guitar and play it. You have a chance to hear it first hand and see how it feels. On the spot, you can try different ones and find what is best for you. However, in a store, you are likely to pay more for the guitar because of the overhead involved to keep the store open. It is hard to beat online guitar prices. And if you know exactly what you are looking for, online guitar stores make it easy and inexpensive to own your first guitar. Guitar constructions and cutouts change based on your dominant hand. For left-handed individuals, you need to make sure that the guitar you like comes in a left-handed construction. I know some very petite ladies who love to play guitar. They have a hard time with a normal size guitar especially an acoustic guitar. Make sure that the guitar matches your size. Also, check out the “action” on a guitar. The action of a guitar is how high the strings are away from the fingerboard. Higher actions require more pressure, and lower actions could create a buzz if the guitar is not made well.